Posted: Thursday 13th March 2014 in Events and Awards, News, Thought Leadership. 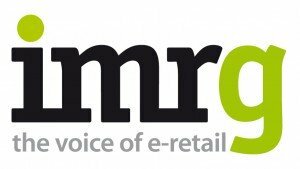 Summit was recently invited to IMRG’s Digital Fashion Connect event, where we heard a panel of retailers discuss a variety of issues and opportunities they’re facing. Our CEO, Hedley Aylott, navigated the panel through a variety of topics from harnessing PR for SEO to how to tackle the clothing sizing challenge, revealing some useful insights along the way. Following is a summary of some of the key takeaways from the discussion. Three industry experts joined Hedley on the panel. These included Claire Higgins (Online Marketing Manager at Selfridges and Co), Zoe Laycock (Digital Creative Director at Bauer Media Group) and Matt Healey (Commercial Finance Manager at Get the Label). There’s an increasing pressure on retailers to develop quality content when it comes to SEO in fashion. “SEO and social media have absolutely transformed the way that we engage with our audiences” claimed Zoe Laycock, when discussing the importance of creative synergy across multiple channels. The need for synergy across social media, blogging and PR is more apparent than ever as retailers battle to create and develop unique and attractive content for both new and existing customers. Selfridges are using content to drive traffic and enhance their SEO presence. Claire Higgins recognises their need to bring the experience between content and commerce closer. From an outreach point of view, Selfridges are looking at how they can work with bloggers and how bloggers can work with brands, to create content that has that all-important social outreach. 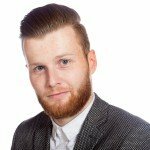 Since Summit started working with Hobbs, they’ve built a huge record of relevant fashion bloggers who are keen to feature Hobbs’ products in their blogs. Summit’s strategy includes a number of key tactics, from targeting seasonal search terms that bloggers can back link within a post, to inviting bloggers to Hobbs events, such as press days or private shopping events. Through that, Hobbs and Summit have been able to build relationships with key bloggers as well as connect offline activities with online exposure, through PR agencies and traditional PR opportunities. Danielle Gourlay, online PR executive at Summit, says “bloggers are keen to be associated with reputable brands as much as the brands want to have exposure on their blogs”. Coupled with high quality content, Summit believes that developing relationships with opinion leaders – as well as nurturing the relationships between bloggers and fashion retailers – is crucial in unlocking the value in SEO for fashion brands. How do fashion retailers identify their most valuable customers? Do they focus on individual products from a margin or cost of sale point of view? Or do they look at customer lifetime value instead? Perhaps it’s a mixture of the two. For Selfridges however, it’s all about their exclusive offers. Claire Higgins claims that “it’s all about the experiential bit that makes it unique to our business, and having that exclusive, we know brings in the right customer.” For example, Selfridges focus on unique and bespoke selling points to drive the right customers to store and online. From that, Selfridges have put a lot of energy behind segmenting their database to ensure that they’re marketing to the most profitable customers, through Google remarketing and various other tools. Who are the most profitable customers though? According to Retail Active, returning customers spend 33% more than new customers. In fact, returning customers are 60-70% more likely to make a sale versus just 5-20% of new customers. Summit challenges the fact that you should purely focus on which products sell the most, and suggests that you also look at which customers purchase the most and which customers purchase more frequently. Hedley kicked off this section with an alarming statistic; “50% of people using a smartphone in store are looking at competitors, either by range or by product”. So, how do retailers combat the trend for ‘showrooming’? Mobile users are usually browsing while ‘on the go’, and as such even if their end goals are similar to desktop users (price comparisons, for example) they are likely to have higher expectations in terms of the speed and ease at which they can navigate a site. It is also important to consider the usability of a mobile site. Touchscreens can make links harder to click on and forms tedious to fill out, so presenting mobile customers with an unaltered desktop site can result in frustrated users who are more likely to move on to a competitor’s site. 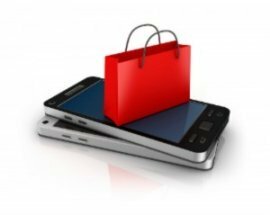 Summit recommends that retailers ensure their mobile site is fully optimised, to ensure that the customer journey on mobile is just as easy as the customer journey in-store, or through your desktop. Selfridges hold a similar view, and have made a huge effort towards mobile optimised templates. Did you know that 60% of all online returns are down to clothes being the wrong size? There’s a huge sizing discrepancy between fashion brands; a size ‘medium’ from one brand can fit you perfectly, but from another brand can completely swamp you. On top of that there’s a discrepancy across territories, when retailers are dealing with international markets. These discrepancies can often cause confusion amongst consumers and even decrease brand loyalty and trust. Get the Label and Selfridges disagreed on the best approach to tackle this problem. Where Selfridges prefer to focus on size guides and style guides (both online and in-store), Get the Label argue that “although size is important, if the delivery options are strong and you make it easy for the customer to buy and return items, then size becomes a secondary priority”. In fact, Matt Healey argued that you can order 3 or 4 sizes of the same product without too much worry, because returning items can be so simple. Whether consumers agree with this however, is another question. Whichever approach retailers decide to take – whether it’s to embrace the issue and improve communication with customers or to create a workaround solution by improving delivery and returns policies – there’s no denying that it’s a problem that needs addressing. Get the Label have invested heavily in a tag management system that indicates which terms are initiating the customer journey, and which channels act as converters. “There’s a lot of value in determining what brings customers to our site rather than focussing on a last click” stated Matt, and Summit agrees. Calculating your initiating, contributing and converting clicks allows retailers to understand which channel plays which part in the customer journey. From this, attribution models can help retailers budget effectively to each channel and up-weight spend based on campaign objectives and priorities. Summit are experts in online retail. If you have any questions about the IMRG Connect event or would like to know how we can help you make more money online, contact Dave Trolle on 01482 876876.